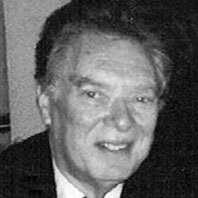 Dr. Scoufelis is professor of History and Economics Emeritus at the State University of New York, Farmingdale, where he continues to teach. He earned the bachelor’s and master’s degrees at New York University, and the doctorate at Columbia University. His special interest in American entrepreneurial history has resulted in the presentation of conference papers undertaking a social and intellectual examination of the role of business leadership in American history—at Grand Rapids, Michigan; Calgary, Alberta, Canada; and Saratoga Springs, New York. He served in the United States Army, was classified a linguist, and was stationed in France as part of America’s commitment to the North Atlantic Treaty Organization. In addition to his other military duties, he was assigned to the Public Information Office and was a writer and editor for the weekly Army post newspaper. He was also appointed to the Troop Information and Education program in an administrative capacity, and served as Depot historian. The author has broad knowledge of Greek and French, has traveled through most of Western Europe and, more recently, visited parts of Central and Eastern Europe. Prior to embarking on an academic career, in 1960, encompassing teaching and administration, at St. John’s University, New York; and teaching, at New York University; and at the State University of New York, Farmingdale, his early background had extended to such diverse areas as the United Nations Secretariat; radio broadcasting, as a staff announcer; and international banking, in New York.